At last... it’s the EUROs again so let’s celebrate! 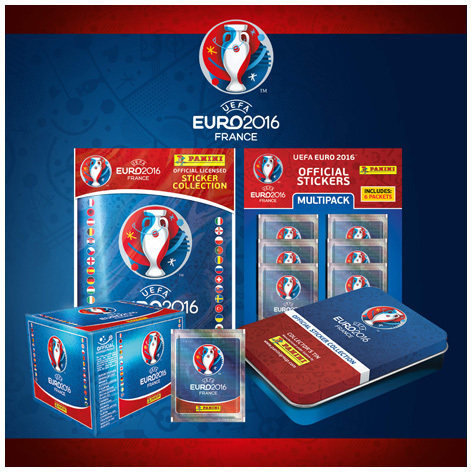 “Celebrating the art of football” is one of the key concepts of the much anticipated UEFA EURO 2016™ tournament and Panini will be there with their sticker collection! Thanks to this new collection a global audience can share the energy and buzz of the matches between the best European National Teams. The unpredictable nature of the game, the beauty of the action, the passion of the players and the intensity of each match are all present in the collection. Stadiums become stages and the players become the real artists that make football so unique and engaging. The sticker album is well laid out and features not only the traditional and well-known double-page spreads dedicated to each team, but also additional features pages like ‘Groups’, ‘Line Ups’ and ‘Venues/Stadiums’. 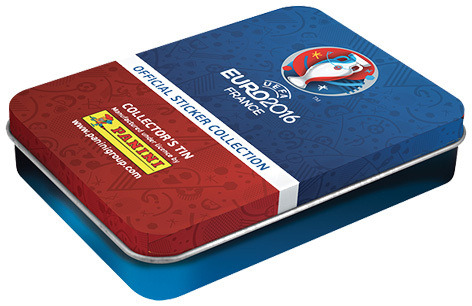 Please tell us what you think of the Euro 2016 Sticker Collection.